First I provide materials that appeared in the Tamil Times of September 1985, beginning with Dharmalingam’s final essay, "Tamil Demands at Thimpu." It is a lucid document, for its clarity of message on behalf of the Eelam Tamil nation. It deserves preservation. What Dharmalingam wrote 25 years ago that, “The talks of ‘One Nation – One Country’ is pedalled by people who think that Sri Lanka is the homeland of one race belonging to one religion and speaking one language and that others must be assimilated or remain forever second-class citizens.” is very apt now, as this is the cornerstone of Mahinda Chintana, as espoused by President Mahind Rajapaksa. I have to continue this appreciation for V. Dharmalingam (ex-MP for Uduvil/Manipay) for four reasons. First, after my last submission of V. Dharmalingam’s remembrance article, I located the last essay (in merely 1,500-odd words) contributed by him, to the (now defunct) Saturday Review (Jaffna) before his assassination. This was republished in the (now defunct) Tamil Times (London), that I had subscribed to for long. As a mark of respect for Dharmalingam, I wish to place it in the electronic record. Secondly, other pages from Tamil Times also carried (a) a bit of ‘vital information’ that provided ‘soft evidence’ for RAW’s invisible hand, in the form of Rajiv Gandhi’s ‘personal message’, and (b) the condolence message of Pieter Keuneman (the then Chairman of the Communist Party of Sri Lanka) and Dharmalingam’s long standing parliamentary colleague. 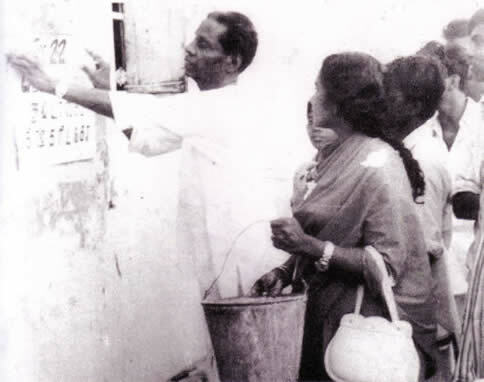 Thirdly, the December 1985 issue of Tamil Times carried an interview by its editor with the then TULF leader A. Amirthalingam, who had anticipated his fate in the aftermath of Dharmalingam’s assassination in 1985. Fourthly, the notorious grip of RAW’s tentacle on Eelam Tamil political, military and media leadership deserves continuous expose. One has much to learn from old events. That’s what history, archeology and sociology is about. After 1,543 years, why Shakespeare wrote a play on Julius Caesar in 1499, about an assassination that happened in 44 BC? Though there exists difference of opinion about who plotted to kill Amirthalingam and Yogeswaran in 1989, as I have noted previously in this website and in my book Pirabhakaran Phenomenon (2005), there is soft evidence for RAW’s hands for the links between the twin murders of Dharmalingam and M. Alalasundaram in 1985 and that of A. Amirthalingam and V. Yogeswaran in 1989. And Rajiv Gandhi was the prime minister of India when these four assassinations happened in Sri Lanka. Now, back to the V. Dharmalingam story. First I provide materials that appeared in the Tamil Times of September 1985, beginning with Dharmalingam’s final essay. It is a lucid document, for its clarity of message on behalf of the Eelam Tamil nation. It deserves preservation. What Dharmalingam wrote 25 years ago that, “The talks of ‘One Nation – One Country’ is pedalled by people who think that Sri Lanka is the homeland of one race belonging to one religion and speaking one language and that others must be assimilated or remain forever second-class citizens.” is very apt now, as this is the cornerstone of Mahinda Chintana, as espoused by President Mahind Rajapaksa. It is a pity, that none of the Tamil MPs (this includes R. Sampanthan as well) currently represented in Sri Lankan parliament can write a challenging piece in English, on behalf of Eelam Tamil Nation, like the one Dharmalingam wrote in 1985, as his swan song! The recognition and gurantee of the ‘territorial integrity’ of the identified Tamil homelands. The recognition of the inalienable rights of self-determination of the ‘Tamil Nation’. The recognition of the rights of citizenship and other fundamental rights of all Tamils to look upon the Island as their home. Mr. Jayewardene has also reported that ‘a political settlement of the Tamil question cannot be made either on the basis of the claim to be a separate nation or nationality distinct from other racial groups that are citizens of Sri Lanka or on the basis of a claim to be heirs to a territorially demarcated area ‘the traditional homelands of the Tamils’ transcending the provincial boundaries of the Northern and Eastern provinces, since both such claims are inconsistent with and contradictory to a ‘United Nation’. He has further reported that ‘if the demand that the proposal for a political settlement would recognize the right of the Tamils for self-determination extends to the point of an absolute right it can only mean the totally unacceptable claim for a separate state by whatever name it is called. If it means the granting of a reasonable degree of autonomy under the existing Constitution, according to Sri Lanka’s concept of participatory democracy, the Government is prepared to grant such autonomy and has founded its proposals on those basic principles. The nationhood of the Tamils and the consequential right of the Tamils for self-determination are indisputable and are fundamental to the issues that the Thimpu parley will face. It is very unfortunate that Mr Jayewardene has cautioned the government against the recognition of Tamils as a nation with the right of self-determination, contrary to historical facts and well-known political concepts. The universally accepted definition of a nation is that it is ‘a historically evolved stable community of people formed on the basis of common language, territory, economic life and psychological make-up, manifested in a common culture’. That the Sri Lankan Tamils possess all these common characteristics and constitute a nation in the present Sri Lankan state is beyond dispute. History records that Tamils are a distinct nationality from ancient times. Mr. Senaka Bandaranaike, lecturer in archeology at the Peradeniya University, in his book ‘Sri Lanka- Island Civilisation’, at page 75 says: ‘The other ancient people who form a distinct nationality are the indigenous Tamils, also inhabitants of the Island from prehistoric times.’ It is a fact of history that the Jaffna Kingdom with a preponderant Tamil population ruled (except perhaps for a very brief period) by Tamil kings was consolidated between the 12th and 14th centuries AD and existed till it was overthrown in battle by the Portuguese. The common territory of the Tamil people, from very ancient times, has been the northern and eastern regions of the island, irrespective of the fact as to who ruled. The first ever population census of 1827 revealed that the Northern and Eastern provinces were the main homelands of the Tamil people and that only a few hundred Buddhists lived in the Trincomalee and Vavuniya districts at that time. For a nation, particularly when it is a minority, to preserve its identity, a homeland is a sine qua non. The fate that overtook the ancestors of a section of the people in the Western coast, which section now claims to be Sinhalese, is still vivid in Tamil memory. Only 150 years ago they proudly claimed that they were Tamils. But living in the midst of an overwhelming Sinhalese population they could not preserve their identity and these descendants are all Sinhalese today. If the Tamil character of the Northern and Eastern Provinces is destroyed then the Tamil Nation will not survive in Sri Lanka. The identity and nationhood of the Tamils are being preserved in Sri Lanka today because Tamils have a homeland in these two provinces to preserve them. The emphasis on a Tamil homeland is for the preservation of the identity of the Tamils. In this connection it may be remembered that the Federal Party in the model constitution for a Federal Republic of Ceylon it submitted to the Constituent Assembly in 1971 recommended that the Amparai District should be a Muslim majority state. Social democracies in all countries have recognized and proclaimed the inherent right of nations to self-determination. Sri Lanka is styled a ‘Democratic Socialist Republic’ in its Constitution. The basis of socialism in the socialist countries of the world is the recognition of the right of self-determination of the smaller nations. If this recognition is not given, socialism will degenerate into the national socialism of the Nazi pattern. The demand for recognition of the right of the Tamil Nation for self determination need not be identified with the demand for a separate state. Self-determination is not another name for separate state. The right of divorce is inherent in every marriage. This does not mean that every married couple sought divorce once the marriage took place. On the contrary, freedom to divorce helps to keep both parties together without infringing on each other’s rights. No nation in a multinational state, where two or more nations with the right to secede have joined together, will ever think of seceding unless the ruler constantly infringes on the rights of the smaller nation. The right of self-determination means that only the nation itself has the right to determine its destiny. The establishment of a state of its own is not necessarily the destiny of every nation. There are innumerable examples of nations who, of their own choice, live unitedly with other nations in one state to their own benefit and to the benefit of the union. The success or failure of the union depends on the success or failure of the ruler to keep the Nation together. But the act of keeping a minority nation by force is in itself an action of national oppression and is bound to bring national antagonism and friction. Minority nations know from their own everyday experience the advantages of a united state and would not risk secession unless national oppression and friction made their existence in a common state intolerable. When placed under intolerable circumstances the urge of a minority nation will be to safeguard its own existence even at the cost of a union state. In Sri Lanka, history will show the Tamils where driven to make the demand for the ‘restoration and reconstruction of Tamil Eelam’ because no government was willing to find a solution to their problem, the existence of which is generally accepted. If a viable alternative where the Tamil nation will have the legal sanction ‘to arrange its life in a way it wishes’ is worked out, the question of a separate State will not arise even when the Right of Self-Determination is recognized. This alternative may be found under a federal set-up or on the basis of autonomy. The talks of ‘One Nation – One Country’ is pedaled by people who think that Sri Lanka is the homeland of one race belonging to one religion and speaking one language and that others must be assimilated or remain forever second-class citizens. Responsible Sinhalese leaders and the mass media repeatedly talk of a Sri Lankan Nation, which unified nation never existed during the 2,500 years of Sri Lanka’s history. It is this talk of a uninational Sri Lankan state which frightens the Tamils into demanding a separate state for themselves. The Tamils fear that in the creation of uninational Sri Lanka their identity and nationhood will be mortgaged without any chance of redemption. The identity of the Sinhalese, who are a preponderant majority, will always be preserved even when Sri Lanka becomes a uninational state. For true democracy to survive in Sri Lanka the Tamils should not only be recognized as a nation but the equality (not quantitative but qualitative) of the Sinhalese and Tamil nations has also to be accepted. It must not merely be that all persons are equal, it must also be that the Sinhalese and the Tamil Nations are equal. The mistrust that has been growing between the Sinhalese and Tamil peoples must be eliminated and the sociopolitical unity of the two peoples must be developed. In a multinational state like Sri Lanka, this unity can be achieved only by retaining the peculiar characteristics of each nation and not by the majority nation devouring the minority nation. Two more items relating to the assassination of V. Dharmalingam, that appeared in the Tamil Times of September 1985, and my related comments. Several thousands of Tamils attended the funerals of two former Members of Parliament, V. Dharmalingam and M. Alalasundaram, held on September 5 in Jaffna in northern Sri Lanka. All civilian life came to a grinding halt when shops, government offices, schools and university were shut and public transport came to a dead stop. People put up black flags in public and private buildings and shouted angry slogans protesting against the wanton and senseless killng of the two former MPs who belonged to the Tamil United Liberation Front. The only vehicles on the streets were those flying black flags which mainly provided transport for those attending the funerals. The bullet-ridden body of Visvanathar Dharmalingam, former MP for Manipay, was found abandoned at the Manipay cemetery, and that of Murugesar Alalasundaram, former MP for Kopay and Administrative Secretary of the TULF, was found with bullet wounds in a scrub jungle at Kalliyankadu about 100 yards from his Nallur residence, on September 3. No one has claimed responsibility for the assassinations which no doubt had been politically motivated. The Eelam National Liberation Front comprising four Tamil militant groups, EROS, EPRLF, TELO and LTTE, and PLOTE have disclaimed responsibility and condemned the killings. However, sources close to the ENLF allege that one of the militant groups might have carried out the murders as a warning to the TULF. The Indian Prime Minister Rajiv Gandhi, has sent a personal message of condolence to the families of the victims. He also sent a message to Mr. A. Amirthalingam, the Secretary-General of the TULF, conveying his grief. Whatever the motives of the gunmen, these senseless killings evoked an angry response from the Tamil people, particularly those in the northern Jaffna district among whom the two former MPs continued to remain and look after their interests. What is of interest in the above news report, is the fact that Rajiv Gandhi, the then prime minister of India, was aware of these two assassinations, which occurred in Jaffna. That he had ‘sent a personal message of condolence to the families of the victims’ means that his office folks had somehow traced the personal contact addresses of the mourning families of Dharmalingam and Alalasundaram. Maybe, one can infer that a RAW operative who was assigned to the Indian embassy in Colombo might have been assigned this task. This one can take as a soft evidence for RAW’s invisible hand in the assassinations. How often an Indian prime minister sends ‘a personal message of condolence to the families’ of assassinated former MPs in Sri Lanka? To the best of my knowledge, I don’t think that both TULF MPs (who were living in Jaffna) had met Rajiv Gandhi in his official capacity as the prime minister, either in India or Sri Lanka. This expression of ‘horror and revulsion’ is a routine lame act of potty-trained Indian diplomats. A relevant event of equal interest was what happened in Colombo on August 14, 2006. The then out-going Pakistan’s high commissioner Bashir Wali Mohamed was ‘purported target’ of a claymore-mine explosive attack (with the explosive hidden in a parked three-wheeler) at Kollupitiya. Though Mr. Mohamed (who was identified as an ex-Director General of Pakistan’s Intelligence Service) was safe, four Sri Lankan commandos accompanying him in a back-up security jeep were killed. Immediately, the Sri Lankan government, the official mouthpieces in Colombo, New Delhi and Chennai pointed fingers at LTTE. The official statement released by Sri Lankan government noted that Nirupama Rao, the then Indian High Commissioner, “was among the first few to contact the Pakistan High Commissioner after his escape. It said, she has also reportedly expressed horror and revulsion”, according to the Hindu’s resident reporter B. Muralidhar Reddy (The Hindu, August 15, 2006). Jaws would have dropped certainly at Sri Lanka’s Presidential palace and the Indian High Commission office in Colombo, when two weeks later, after returning to Pakistan, the same Bashir Wali Mohamed pointed fingers at RAW (and not at LTTE), for plotting the attack on him with the intention of ‘starting a proxy war in a third country’. In this case, assuming that Colombo was under strict round-the clock surveillance, how LTTE managed to load the explosive in a parked three-wheeler and place it in a high security area has not been convincingly explained. Pieter Keuneman (1917-1997) was a long-standing parliamentary colleague of V. Dharmalingam. The following statement, on behalf of the Communist Party of Sri Lanka, was issued by him. “I condemn unequivocally the brutal, calculated and revolting murders of Messers V. Dharmalingam and M. Alalasundaram. Whoever is responsible for this dastardly crime cannot seek shelter behind the plea that it was done in pursuance of the fight of the Sri Lanka Tamils for their national rights. It is terrorism, naked and unvarnished. It is clearly intended to convey to the Tamil leaders that a similar date awaits anyone who seeks a negotiated political solution of the present ethnic crisis – at Thimpu or elsewhere. Its additional aim is to set the Tamil organizations on a collision course with the efforts of India’s Prime Minister to make such a negotiated settlement possible. In this connection, it is clear that even great vigilance is required against the efforts of reactionary western agencies to misuse sections of the militant Tamil movements for their own sinister purposes. The December 1985 issue of Tamil Times, carried an ‘abridged version of an interview’ given by Mr. A. Amirthalingam. For its worth, I reproduce the eleven questions asked and Amirthalingam’s answers. In questions 9 and 10, he expressed his thoughts on the assassinations of Dharmalingam and Alalasundaram. Those who shed crocodile tears in the name of Amirthalingam now (including President M. Rajapaksa, Sinhalese supremacists, Mrs. M. Amirthalingam and V. Anandasangaree! ), should care to study his position in 1985. Q 1: Mr. Amirthalingam, there have been two rounds of talks in Bhutan between the Tamil delegations and the delegation representing the Sri Lankan government. What was the reason for the lack of success at the first round of talks. Amirthalingam: It was apparent that there was no real change in the government’s position. In fact the government delegation came up with proposals that had already been rejected by the Tamils. It was absurd for the government delegation to do that. In some respects, the proposals that were put forward by Mr. Hector Jayawardene were even less than those placed before the All Party Conference in 1984. The Tamil United Liberation Front had already rejected them. 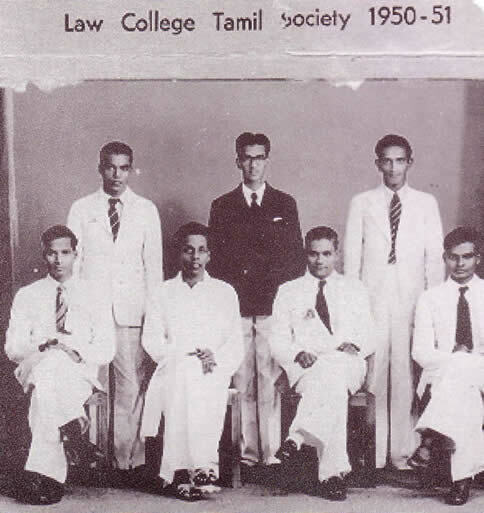 It was absurd for the government to expect the Tamil Liberation Groups and the TULF to accept them. There was no possibility for continuation of the talks on the basis of the government proposals. The talks, therefore, were doomed from the start. Q 2: What was the reason for the collapse of the second round of talks at Thimphu? Amirthalingam: They came to a premature abrupt end because of the reports we received about the large scale massacre of Tamil civilians by the security forces in Vavuniya and Trincomalee. The massacre at Vavuniya resulting in the killing of over 200 Tamils occurred on 16 August. It was clear that the Sri Lankan security forces were violating the ceasefire arrangements and killing innocent civilians. We could not possibly continue the talks as if nothing had happened. The talks ended with the walkout by all six Tamil delegations. Q 3: Before the walkout, did the government delegation place any different proposals for discussion? Amirthalingam: There were several changes made to the original proposals. However, before the discussions started, Mr. Hector Jayawardene, the leader of the Sri Lankan delegation, created an unnecessary controversy by challenging the credentials as to the representative character of the Tamil delegations. He said that the government did not accept that the six Tamil delegations were the only representatives of the Tamil people; he contended that the government too represented the Tamils. The Tamil delegations challenged the position adopted by the government and these exchanges took almost two days. Finally, Mr. Jayewardene accepted rather grudgingly that there was sufficient representation of Tamil interests as represented by the six Tamil delegations and that it was possible to arrive at a final conclusion with the groups present at Thimphu. Although there were changes in the proposals, they were not acceptable to the Tamil delegations and they made statements rejecting them. Before the discussions could proceed further, the news of the massacre at Vavuniya reached us which ended in the walkout I referred to earlier. Q 4: It would appear that all the Liberation Groups had agreed to the ceasefire. How effective is the ceasefire? Amirthalingam: The ceasefire was supposed to have come into effect on June 18. However, during the three month period between 18 June and 18 September during which the ceasefire was presumed to be in operation, over 500 Tamil people were indiscriminately killed by the security forces. This is how the ceasefire is being observed. Q 5: Do you think that the appointment of a Ceasefire Monitoring Committee would have any impact? Amirthalingam: Certainly the appointment of the Monitoring Committee is an improvement. However I doubt whether it would be effective in monitoring any violations because, the Committee has to totally depend on the government for its information, for its mobility and for other facilities required if it wants to be effective. I think the inclusion of the two nominees of the ENLF in the Committee is a welcome improvement. They may be in a position to draw attention to the violations of the ceasefire by the army and to the true facts. The Monitoring Committee may have a deterrent effect on those who violate the ceasefire. I think only an independent international body like the Red Cross or a group of persons from some non-aligned country should monitor the ceasefire, and that is the only way it could be done effectively. Q 6: It would appear that the Sri Lanka government is using the ceasefire period to build up its military strength on a massive scale. The Minister of National Security is talking about setting up a permanent army of 100,000. In this context, how genuine is the government about a peaceful negotiated settlement? Amirthalingam: We raised this question with the Indian government officials at the time the ceasefire was being discussed. The position of the Sri Lankan government was that the right of the Sri Lanka government to strengthen its armed forces for the defence of the country could not be questioned. It would therefore seem that the right of the Tamil militant groups to increase their numbers and strength was also acknowledged as a corresponding right. Q 7: With the formation of the Eelam National Liberation Front (ENLF), comprising four Liberation groups, the Tamil people hoped that other groups also would come together. Is there any possibility that the PLOT will also join the Front? Amirthalingam: Our efforts always have been directed to bringing about unity among all groups. Before the Thimphu talks we had discussions with the ENLF and PLOT separately. During and at the talks, all the groups adopted a common position. It is unfortunate that there is still some misunderstanding between the ENLF and PLOT. As far as the TULF is concerned, all the groups should get together in a united front to be effective and in the interest of serving the Tamil people. We will continue our efforts to bring about this unity. Q 8: The Federal Party in earlier years, and the TULF in more recent years enjoyed virtual monopoly of representing the Tamil speaking people. Now that the Tamil Liberation Groups also have been recognized as representatives of the Tamil people. Would you agree that the monopoly held by the TULF had come to end? Amirthalingam: We of the TULF owe our position to the fact of having been elected by the Tamil people. The liberation groups have come to be recognized because of their struggle and sacrifices they have made. Any settlement without their participation and concurrence cannot be effective. In that context they have become recognized. But the ultimate representative character will have to be decided by the people. However, I am always of the view that the liberation groups having played a major part in the Tamil struggle in recent years must be given due recognition and are entitled to their due place in any future set up in the Tamil areas. Q 9: The killing of M. Alalasundaram and V. Dharmalingam, two former TULF MPs, by some yet unidentified group must have come as a rude shock to you and a big blow for the TULF. Have you got any comment? Q 10: Tamil Times had editorially condemned these killings and commented that they were acts of naked terrorism and had nothing to do with Tamil liberation or freedom. Would you agree with that view? Amirthalingam: I entirely agree. In fact the placards which were left besides their dead bodies had described them as having betrayed the Tamil people and it is an absolute falsehood. [Note by Sachi: Amirthalingam was correct here. It was indeed from the ‘dirty trick bag’ of RAW operatives.] Some of those who got elected on the pretext of serving the Tamil people are doing well occupying cabinet portfolios without raising a little finger on behalf of the suffering Tamil people who are subjected to genocidal attacks. But Dharmalingam and Alalasundaram sacrificed their seats in Parliament and their professional careers by refusing to take the oath of allegiance. They continued to devote their time and resources in the cause and service of the people. I think there is something rotten in the thinking of those who killed them. Your characterization of their killing as ‘naked terrorism’ is absolutely correct. Q 11: It is known that the Sri Lanka government has submitted a working paper containing proposals for the setting up of provincial councils, and the Indian government is awaiting the reaction of the Tamil groups. What is the position? Amirthalingam: It is the common view of all Tamil groups that the proposals as stated in the Working Paper are unacceptable. However, the Liberation Groups are not yet ready to put forward their counter proposals on the basis that the security forces have continued to commit ceasefire violations. But I think before long we have to come to grips with the problem and respond. We would like a united response by all Tamil groups. Because President Jayawardene made certain statements in a press interview to the effect that the Indian government had accepted the proposals contained in the Working Paper, the TULF sent a lengthy memorandum to the Indian government setting out three basic positions. Firstly, we pointed out that the integrity of the Tamil homeland of the northern and eastern provinces as one unit should be preserved, and that provincial councils being set up dividing the two provinces would never be acceptable. Secondly, the power over land settlement and distribution in the north and east should be vested in the devolved authority. We pointed out that the government should not benefit from the illegal and immoral land settlement policy which they had pursued for the last three decades thereby, altering the demographic composition in the Tamil areas. Thirdly, the main problem presently facing the Tamil people being one of security of life and property in their home areas, the power to deal with internal law and order should be vested in the devolved authority. These three issues are basic and not negotiable.